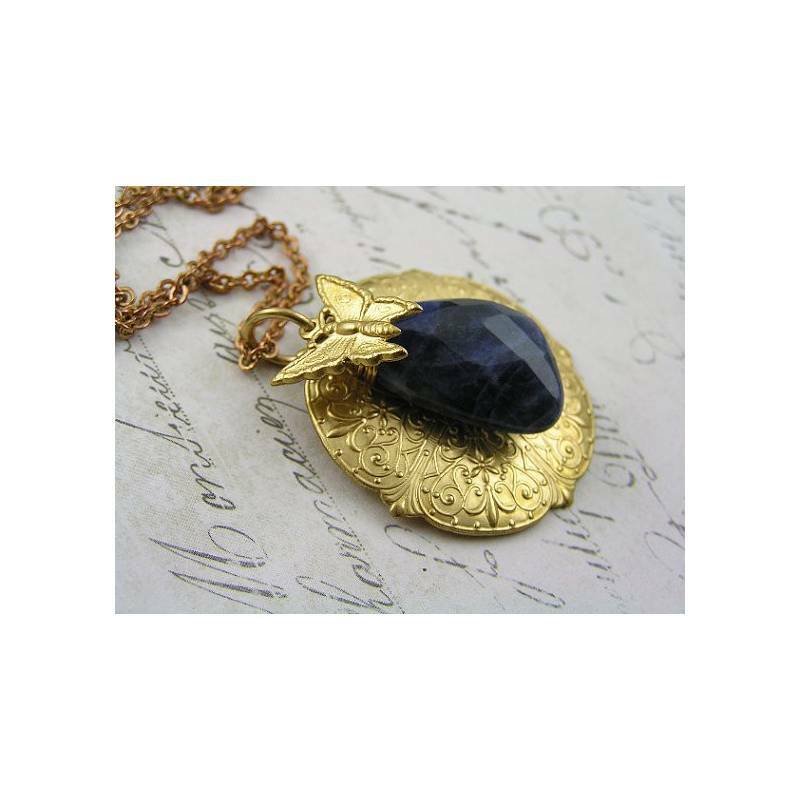 As the background for a beautiful large Sodalite drop, I chose a fabulous golden embossed medallion pendant. 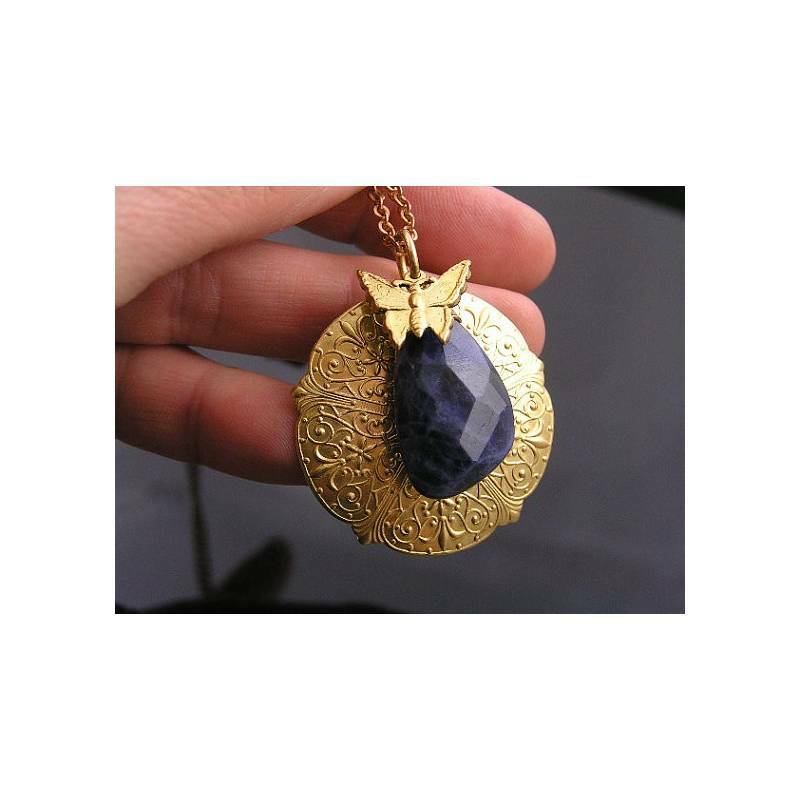 The Sodalite drop is faceted and cut into an asymmetrical shape. 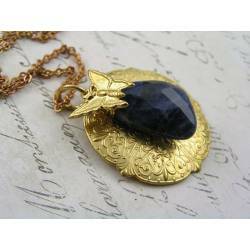 It is dark blue and has lighter swirls, a high quality gemstone. Sodalite is part of the rocks forming Lapis Lazuli, which is the reason these two look sometimes similar. In addition to the medallion and Sodalite, I added a small embossed butterfly charm. 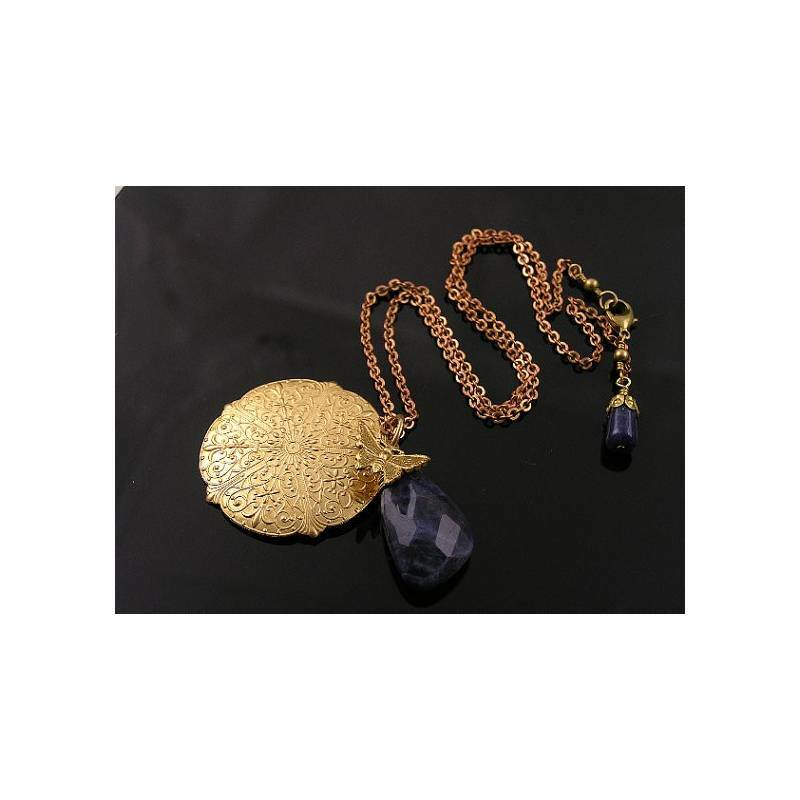 The pendant is attached to a solid brass trace chain which closes securely with a lobster claw clasp. 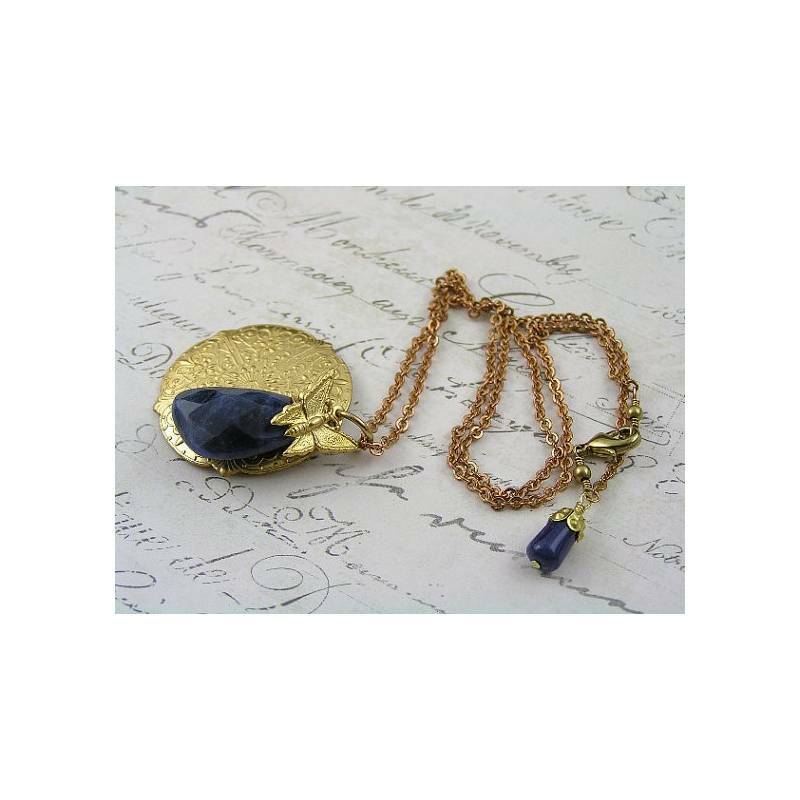 The back of the necklace is nicely finished with another Sodalite drop; this time a smooth drop with an ornate bead cap. The Sodalite measures 2.5cm in length, the medallion is 3.5cm in diameter. 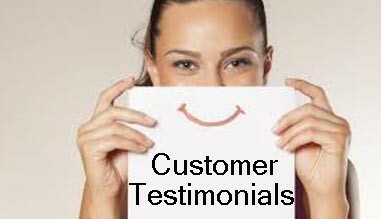 This is a high quality necklace, made out of solid brass. The brass has been polished and sealed with a non-toxic, jewellery lacquer to preserve the shine and prevent early tarnish.